Emmens Preserve is conveniently and centrally located at the former Myrtle Beach Air Force Base near The Market Common, just minutes for the Beach. With a multitude of housing choices offered by nationally recognized homebuilder Lennar Homes. Lennar Homes have been building quality homes since 1954 and continue to add to the community with new sections of themed homes for those who enjoy an active lifestyle. Not only are there plenty of awesome amenities outside of the community, but residents can look forward to a large pool and sunbathing area, a clubhouse, an exercise room, a small outdoor amphitheater for concerts, putting greens, bocce ball courts, and outdoor kitchens. There are also sidewalks throughout the neighborhood. The Crabtree Gymnasium has recreational activities available for all ages and the popular Doolittle Lake is enjoyed by water lovers with small watercraft and many residents utilize the loop around the lake for walking their dog or going for a jog. Very reasonable HOA fees cover amenities, common areas, and grounds maintenance. All of these great amenities make Emmens Preserve a wonderland place for anyone to embrace the active lifestyle. 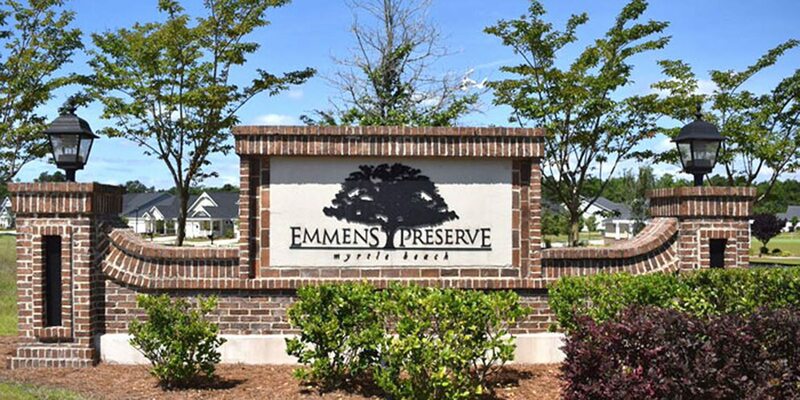 Coastal Carolina lifestyle along with the affordability, location and ambience of the neighborhood has made Emmens Preserve one of the top selling new home communities in the Myrtle Beach area. 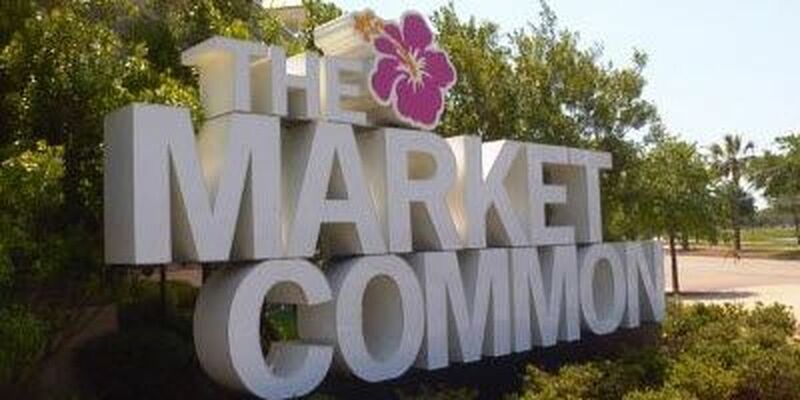 Everyone wants to be near The elegant Market Common facilities. 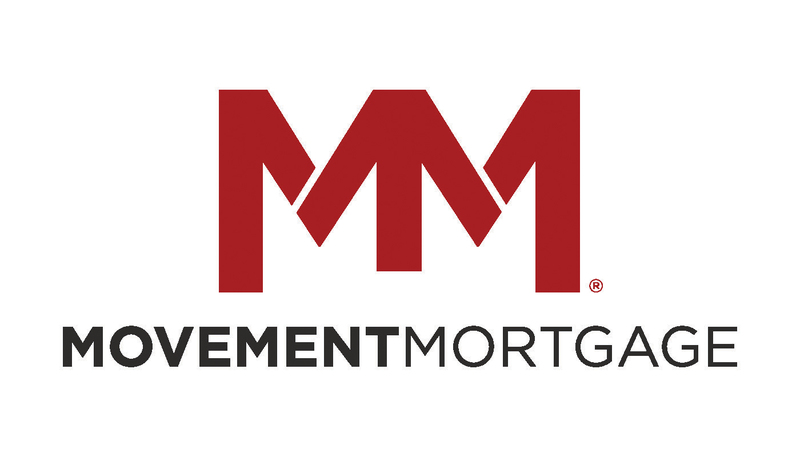 Emmens Preserve is perfect for potential homeowners from families to retirees or real estate investors with a wide variety of styles and home choices to offer and an environment and climate that is responsible for the area being one of the fastest growing in the United States. Welcome to the heart of North Myrtle Beach - Known as the area's main hub of entertainment, Ocean Drive is located in the center of our collection of seaside villages and plays host to the majority of our area's festivals, concerts and events. In fact many locals still refer to North Myrtle Beach as "Ocean Drive." When Ocean Drive was first discovered, it was said to be "the widest beach in the world," with enough room for several cars to race along the shore. The pavilion opened in 1940 and quickly became a popular hangout spot for local and visiting youth. It had a first-class arcade, bingo hall, bathhouse, bowling alley and even a skating rink. In the 1940's the Carolina Shag was born along the North Myrtle Beach coastline. Known as the South Carolina state dance, shag is a variation of the swing, with gliding steps designed to avoid kicking up the sand. The Ocean Drive section of North Myrtle Beach conjures up vision of beach clubs with live beach music and shag dancers taking to the wooden dance floor. It is a quaint stretch of beachfront in North Myrtle Beach that is a nostalgic blast from the past though there are new and beautiful condos and beach homes. From Highway 17 in North Myrtle Beach take Main Street to the waterfront and you will land in the Ocean Drive section of town. Enjoy the sunshine while you swim in the ocean and maybe take a dance lesson or two while you are in town. In addition to the water and shag dancing, Ocean Drive is a great place to shop at unique boutiques, eat at local family-owned restaurants and walk on the sandy beaches for which North Myrtle Beach is famous. Mild weather year-round is what draws many newcomers to the area. Average high temperature in the winter hover well above freezing, and snow is rare. Still, given its coastal location the North Myrtle Beach region can experience heavy rains or worse if there's an active tropical season. Summers are hot, but ocean breezes make the season bearable. Fall and spring days in North Myrtle Beach may be some of the most enjoyable, as the temperatures sit in the mid-70's. Rain is pretty frequent through the spring months, but the fall season is the perfect mixture of sunny days and cool evenings. In 1954 Hurricane Hazel destroyed the pavilion and much of the surrounding area. However, Ocean Drive residents were able to pick up the pieces and rebuild, and in 1955 they introduced a new pavilion and an amusement park. The towns of Ocean Drive, Crescent Beach, Cherry Gove, Ingram Beach and Windy Hill merged together to form North Myrtle Beach in 1968. Fun never goes out of fashion, and the OD Pavilion Amusement Park offers the same family-friendly seaside entertainment that generations of visitors and residents have enjoyed. 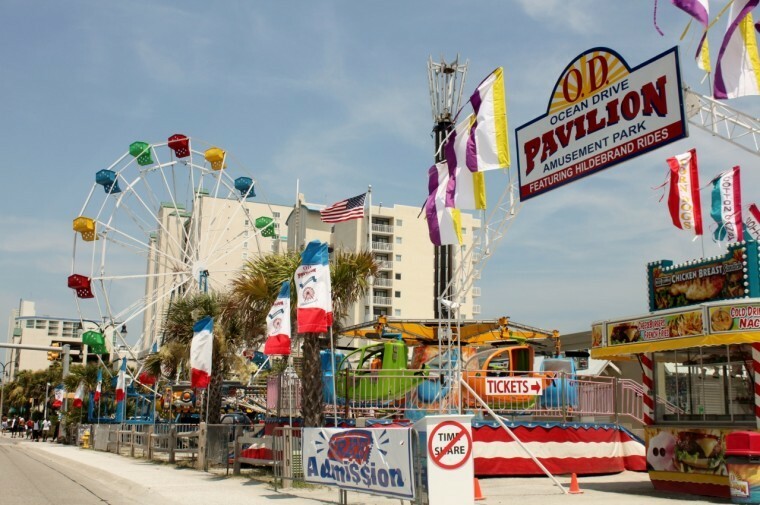 As the only oceanfront amusement park on the Grand Strand, the OD Pavilion in North Myrtle Beach is the only place along our 60 mile stretch of coastline where you can relive the good old days of thrill rides directly on the beachfront. Located in the Heart of it all on the Oceanfront just at the end of Main Street, this is one local attraction you and your family won't want to miss!! If there's a benefit to living in a tourist town, it's that you can always find an attraction to visit, a new restaurant to try or a festival to attend. It's no secret that vacationers return to North Myrtle Beach year after year in search of family adventures, romantic getaways or the chance to reconnect with old friends. With an abundance of delicious dining, wide beautiful beaches and exciting activities why would you NOT want to call OCEAN DRIVE NORTH MYRTLE BEACH... HOME!!! North Myrtle Beach is the best place to visit with your family. If you love the beach, you'll know that Cherry Grove, the northernmost end of North Myrtle Beach, is just perfect for that getaway to the beach. Cherry Grove is a beautiful, quiet section of North Myrtle Beach, Boasting great fishing, scenic views, and cool places for water sports. This family-friendly area is perfect for a beach getaway that is set back from all of the hustle and bustle of downtown, yet still close enough to all of the fun things to do in the Myrtle Beach area. You Probably know Cherry Grove has world-class fishing, dining and is of course, relaxing. A trip to the beach can be enjoyed while kicking back on your back deck dipping your toes into Hoggs Inlet or wading over the Waites Island at low tide. Cherry Grove Beach is a humble oceanfront community in North Myrtle Beach. 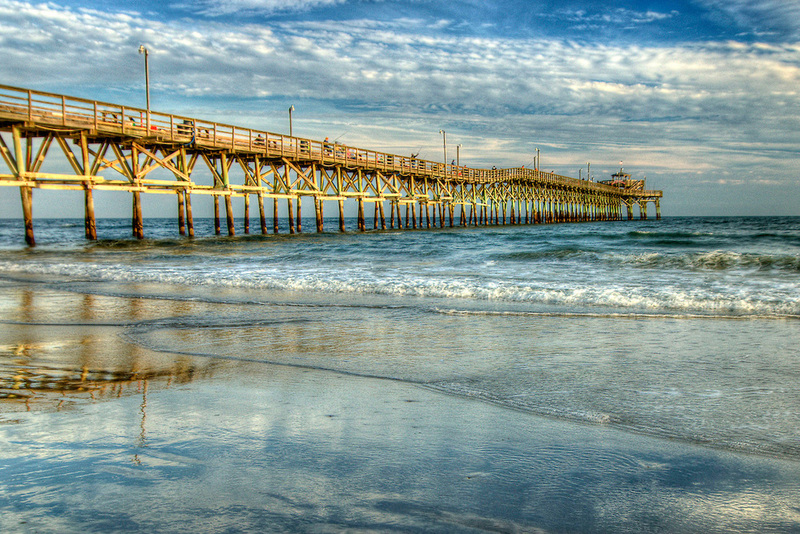 Its most prominent feature is the Cherry Grove fishing pier and its most unique assets are the saltwater channels that reach far into the neighborhoods of North Myrtle Beach. The Atlantic Ocean borders one side of Cherry Gove Beach while Hog Inlet and all its channels and creeks border the west side of Cherry Grove Beach. Play on the beautiful beaches and try fishing off the pier located between 34th Ave North and 36th Ave North. Fishing in the Cherry Grove area is serious business. The Cherry Grove Pier is iconic. 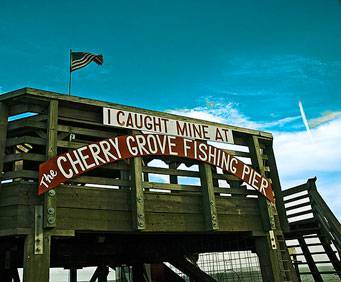 For generations fathers have taught their kids how to fish from the Cherry Grove Pier and this is also the site from where award-winning fish have been caught. Built in the 1950's it was lengthened in 1999 and today at 985 feet it features a restaurant and tackle shop. The two-story observation deck makes the Cherry Grove Fishing Pier worth visiting. Rent rods and reels at the Cherry Grove Pier along with bait and lures. You might want to take home a souvenir from the Cherry Grove Pier like a t-shirt, shark's tooth necklace or beach accessory. This tackle and gift shop also sells cold drinks, including beer. The Cherry Grove landscape is comprised of beach houses and condos that are near lakes, ponds and the salt marsh. There are Cherry Grove condos that are on the oceanfront and feature amazing oceanfront views. The Cherry Grove Condos themselves often have a fully furnished kitchen and many provide a washing machine and clothes dryer in the condo for convenience. The oceanfront Cherry Grove beach houses give your family a front row seat to all the things on the beachfront. Hundreds of beach houses in Cherry Grove offer delightful accommodations, convenient amenities and a terrific location for you and your family to live or vacation. While a great place to live, Cherry Grove is a wonderful vacation place as well. Beautiful white sandy beaches welcome kids young and old to kick off their shoes and explore the oceanfront in bare feet. The sand feels terrific on your feet and the ocean water is wonderful to a head-to-toe dip. Get a lounge chair, a beach chair or just a beach towel and soak up the sun at Cherry Grove. Read your favorite book, conquer a crossword puzzle or break out the Frisbee and volleyball for a friendly game with the kids. Time spent on the beach in Cherry Grove entices relaxation that can be had on the beautiful beachfront. Recreation in the Cherry Grove area includes swimming, parasailing, boating, golf and of course, fishing. Swim in the Atlantic Ocean or float in the inlet. Parasail boats give you a sky-high tour of the North Myrtle Beach area and you can even fly two and three people at one time. 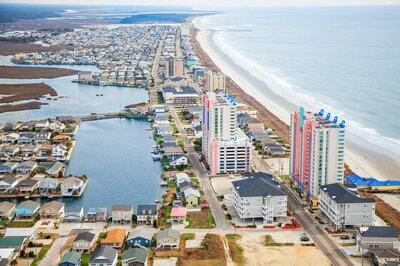 Don't miss the opportunity to see North Myrtle Beach and Cherry Grove from that vantage point. Boating in the Cherry Grove area can mean kayaking the inlet, canoeing the salt marsh and jumping waves in the Atlantic. Boat rental opportunities are plentiful and boat tours are also available so you can relax and let someone else do the driving. Cherry Grove Beach is just one section of the long stretch of sand that fringes the whole of Myrtle Beach. It's a little more secluded, quiet, and a tad more untouched that its near neighbors to the south-west, and comes backed by winding creeks and waterways that wriggle through wetland plains before drifting out into the Atlantic. This is a thin area of land, so you have the ocean to the east and the Intercoastal Waterway to the west. No matter where you are you will have great views of the water, either the ocean or the inland waters, which makes for amazing sunrises and sunsets. Whether you're looking for a relaxing place to lounge about, or you're looking for the excitement of living near the beach, Cherry Grove offers it all. 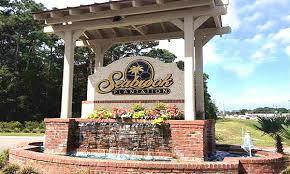 Seabrook Plantation and the Grand Strand -- they go together, as they say in the south, like biscuits and gravy or seafood and sweet tea. Situated between the Atlantic Ocean and the Intracoastal Waterway. Beautifully located off Highway 17 between Ocean Drive and Cherry Grove in North Myrtle Beach. 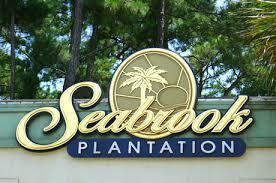 Seabrook Plantation is luxury living and coastal brilliance. Just a golf cart ride to shops and restaurants This gated community boasts homes starting in the low $400s and lots starting in the $100s. A 3-, 4-, and 5-bedroom home range in size from 2200 to 5000 heated square feet. 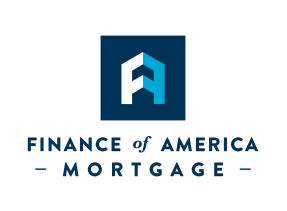 These Luxury homes’ features may include vaulted and trey ceilings, granite countertops, stainless steel appliances, designer baths and kitchens, and much more. 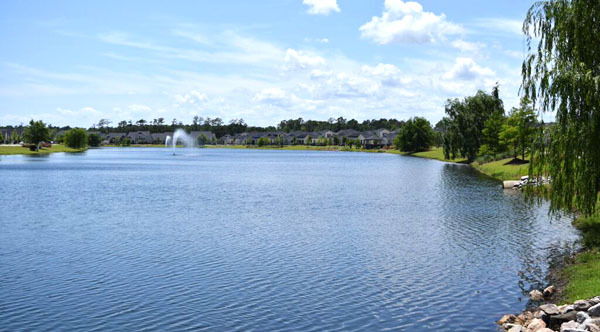 One thing is certain, Seabrook Plantation offers access to almost every amenity you can dream of including four miles of natural walking trails, five beautiful community lakes with elegant fountains, exquisite lakefront clubhouse with adjacent swimming pool, shuffleboard, horseshoe toss and even a putting green. In addition you'll also have access to a private, gated Oceanfront Beach Club. The luxurious 4,900 square foot beach cabana will feature private restrooms, a handicapped lift, kitchen, bar area, ocean-side pool complete with decks for sunbathing on the beach without the sand and a dune crossover for easy beach access. Seabrook Plantation is only a few minutes' walk to the most gorgeous white, sandy beaches on the entire east coast. Come make this YOUR Oasis of Luxury Living Today …You won’t regret it. 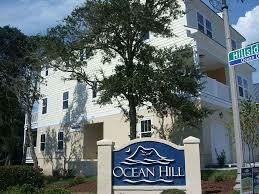 Ocean Hill is a small community of single family homes located in the Ocean Drive section of North Myrtle Beach. 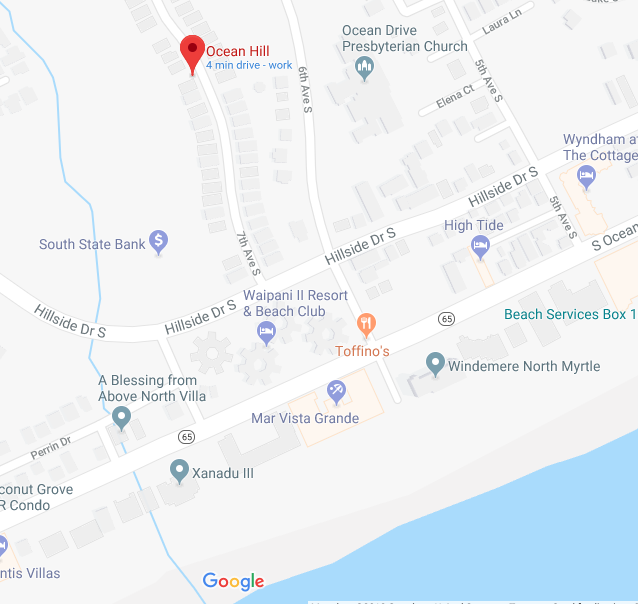 The homes of Ocean Hill are raised beach style construction and have utilized the space underneath the living area with extended two car garages. They are being designed and constructed by RS Parker Homes. RS Parker Homes are distinguished with unsurpassed craftsmanship and a reputation for quality construction that spans over 20 years. These homes range in size from 2200 to over 3700 heated square feet and currently there are 3 and 4 bedroom plans available. Featuring stainless steel appliances, ceramic tile flooring, smooth top ranges, gourmet kitchens, granite countertops and finished garages with optional elevators, these 2 and 3 story homes are built to be family heirlooms, passed down from generation to generation with pride. This small Intimate neighborhood is east of Highway 17 and in a great location with just a short walk to the ocean. Pack up your beach bag, and check out why North Myrtle Beach is one of the most desirable vacation spots in the world or swim in the community Pool. Ocean Hill is a community that will definitely grow with your family and is just what you are looking for. Come see it today. Belle Grove Homes offers three-smaller communities within the neighborhood. Belle Grove Palms, Belle Grove Willows, Belle Grove Oaks, all offering a little something different for each community. These are great family neighborhoods with an abundance of community amenities and are within walking distance of several local schools. The easy access to the ocean and intracoastal waterway are an added benefit to those seeking water activities. Waterbridge is situated around 80+ acres of lake and is surrounded on three sides by nature reserves. A neighborhood with a community center which features the largest residential pool in the state and only 15 minutes from Myrtle Beach's famous Golden Miles makes it a luxurious relaxing place to reside. Ideal for families as Planters Point homes are within a short walk to local schools and just a 15-minute commute to Myrtle Beach. Community amenities include a pool and clubhouse. Planters Point is also very close to one of the largest nature preserves: Lewis Ocean Bay. The Orchards Area allows you to combine the convenience of a lock and leave home with the great amenities enjoyed by residents in a maintenance free lifestyle. Being close to local schools, 7 golf courses and 15 minutes to Myrtle Beach makes the Orchards an upcoming beautiful place to live or vacation. This gated community couldn't be any better for golfers...7 golf courses just minutes from Brighton Lakes. Choice are from Myrtle Beach National Club, Legends, or the Man O'War and several more just minutes away. 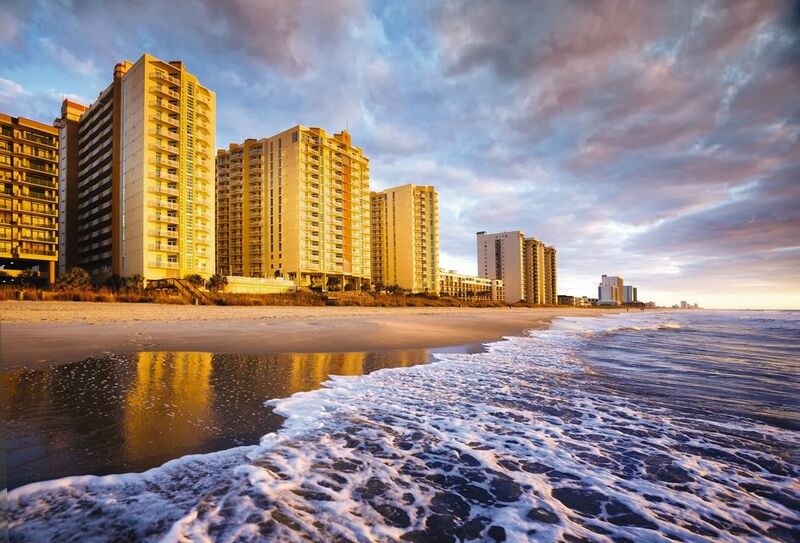 Experience Southern sophistication at its finest and whether you prefer the peaceful ambiance of the natural wonders contained in our coast and forest, or you are looking for the excitement and activities inherent to Myrtle Beach. Brighton Lakes has the location and lifestyle for you.